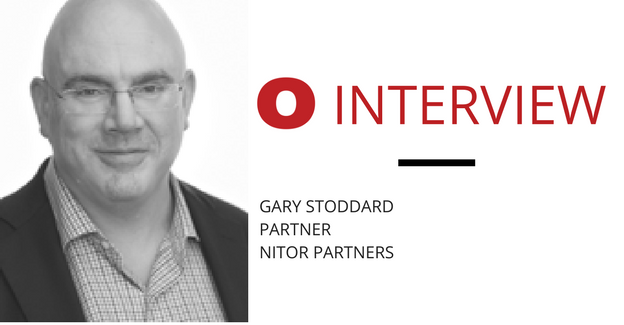 Gary Stoddard is a Partner with Nitor Partners, whose single focus is empowering clients to achieve Source-to-Pay excellence. Dawn Tiura, CEO and President of Sourcing Industry Group, got together with Gary recently to get his thoughts on creating sustainability and the need for an integrated procurement environment. Dawn Tiura: One of the things I first wanted to talk to you about is understanding a little bit about your history. How did you get to be where you are at Nitor? Gary Stoddard: Prior to Nitor, I had both a corporate and consulting background. My corporate career was with Rolls-Royce in aerospace. I worked in many different countries, both in customer-facing and procurement roles. Initially the roles were managing the sales and relationships for some of the largest airline customers in Europe and America. Then I moved back to the UK to be in procurement, which 15-20 years ago, was not a common path. DT: I agree, could you tell me more about that? GS: Sure. Rolls-Royce is a very forward-thinking company and realized that improving the connectivity between sales and procurement greatly helps the business achieve its goals. In aerospace, the jet engine sales and maintenance deals for commercial airlines are quite complex and very long-term. A lot of modeling goes into accurately predicting the 20-year support needs and associated pricing structure. The performance of supplier provided parts that go into the jet engine play a significant role in this. DT: At what stage of evolution was procurement at? GS: Like other historically quality focused companies, procurement was fairly well advanced at Rolls-Royce. Spend analysis, category management, strategic sourcing, and supplier management were all aspects of procurement that were highly valued and understood by the organization. Also, the value focus was not just on cost - service, delivery, quality and innovation were just as important. Where the next stage of development was needed centered around improving the alignment of the procurement deal structure with the longer-term customer model. The company was looking to close that gap and improve the connectivity. To enable this change, the concept was to shift some of this product risk back down to the supply base and create more of a long-term, relationship-driven, risk and reward type of supplier environment. Often, for key engine components that were outsourced, only a small number of suppliers had the experience, capacity and certification to meet the high specifications. So in terms of supplier segmentation, much of this work was in the relationship / partnering quadrant. It was enjoyable to see the Procurement side of the business drive change through development of the risk and reward sharing contract structures, which really changed the whole alignment with the supply base, improved quality, service, delivery and also reduced risk. DT: What was the next phase in your career? GS: I got close to the ten-year point with Rolls-Royce and realized it was time to follow my dream of owning my own business - but I had never settled on exactly what that would be. My time in Procurement helped me see the need for these solutions and how to better manage suppliers across the source-to-pay spectrum, and my time in sales meant I was comfortable in generating business. So I set up a consulting company in England that was focused on the upstream aspects of procurement - spend analysis, category management, strategic sourcing, contracts and supplier management. DT: How did that go? GS: Thankfully very well! I did that for nearly five years and really enjoyed helping companies in many different industries. I realized that the work I did at Rolls-Royce, in procurement, was significantly further ahead than 90% of other companies. So very quickly I could see that my decision to leave such a great organization was going to be successful. The time then came to move back to America with my family. Shortly after the move I met up with Nitor and we found that we had a good fit. My experience was more on the upstream side of the Source-to-Pay spectrum and broader Procurement transformation. Nitor had already established a great reputation for experience on source-to-pay technology implementation. So 8 years ago I became a Partner / Owner of the company and that's how I ended up where I am today! DT: I know that Nitor is about empowering organizations to create sustainable value in the source-to-pay space. Can you tell me a little bit about how you approach that? I know you talk about the need for a holistic, integrated procurement environment. Can you share your thoughts on that? GS: If I look first at upstream, over the last few years strategic sourcing became a bit of a buzzword in procurement. Companies liked it because they could showcase internally that they had saved X millions of dollars - at least at the surface level. However, most organizations that adopted strategic sourcing were still very tactical or reactive and it was being done in isolation. It wasn't really connected to the business operations needs - how they contract, how they manage suppliers or to how they transact with suppliers. It was very much a silo driven, reactive approach to sourcing. We have helped our clients look at how creating value is much broader than just the cost savings in sourcing and how it's important to connect the upstream environment - spend visibility, category management, sourcing, contracts and supplier management - to really create incremental value and enable a sustainable approach. In addition to establishing this broader value proposition of Procurement, we have also helped our clients address the downstream aspects of Procurement - driving contract compliance, enabling efficiencies in how the procure and payment transactions occur, and delivering improvements in cash management with suppliers. Without addressing and connecting these upstream and downstream aspects, for every dollar saved, only 60-70% tends to hit the bottom-line. DT: Could you elaborate on the main ways you have empowered organizations to create sustainable value? GS: There are a number of areas where we help clients transform their organization to showcase the real value proposition of Procurement - not only creating additional value but also ensuring they efficiently keep it. The first area is around improving analytics. One of the biggest problems most organizations face is they don't have good visibility into spend. Typically, they are not capturing good spend detail when they transact, and they do not have good systems to gain real time access to data. Nitor has helped organizations implement and see how they can use systems as well as improve data collection from the transaction environment to really get down to line level spend data. So you can truly see who you're spending money with, what it's on, where you are buying the same thing from multiple suppliers and how it compares across different sites/regions. This visibility drives speed - to seeing opportunities, making decisions and to engaging the market. The second area is category management. Many organizations missed this step as they went from analyzing spend to quickly sourcing in a very tactical rather than strategic manner. Nitor has been helping clients see why category management is so important in driving change. Broadly, it is: improving how to engage with the business as a service partner before an organization actually goes and does a sourcing project, truly understand and challenge their business needs, share what we are seeing in the spend data and market place, and look at supplier performance with the incumbents. This is pre any sourcing activity so the pressure to “send out an RFP or do an auction” tomorrow is not there and you can explore how best to change the dynamic of the category and improve value. It's looking at what is the art of the possible. DT: I totally agree with you - how are you seeing this played out? GS: Companies have slowly stopped knee jerk reactions to sourcing needs and they are taking a step back. It's hard sometimes to make people realize they first need to take a step back to think about categories - everyone wants to save money today. So a lot of companies are now realizing that if they take a step back and proactively work with the business, they can save two-three times as much compared to when they had a very tactical, reactive approach to sourcing. This links into the third area we have been helping clients with on understanding what strategic sourcing really is. Too many companies forget the first word - strategic. They just source, or if we are being honest, do slightly more than 3 bids and a buy. Too often when we assess an organization's strategic sourcing approach, it is mainly tactical rather than strategic. Therefore, we have helped clients build out the strategic sourcing methodology and provide a playbook and training to make this transformation sustainable. Aspects include: developing a total cost baseline, identifying holistic business requirements / KPIs that are broader than just cost - delivery, quality and service, and assessing the best fit sourcing strategy from a toolkit of options - volume leveraging, focused negotiation, demand management, joint process improvements and strategic relationships. The fourth area where we are helping clients is realizing that the end of a sourcing project is just the start of the journey to keep the value created. You need to actually operationalize the contract and ensure that the agreed pricing actually gets transacted. Also, for critical or strategic categories you need to drive supplier management around risk, performance and relationship. This then enables a data-driven feedback loop in the upstream space to use the insights gained to further improve the category when you next come to source or drive change. Given most companies encourage employees to move roles every two-three years, having a knowledge hub of insights and outcomes is critical to managing categories. The fifth area that we have helped clients improve is how to measure the impact of procurement. Yes, savings is a good barometer and savings will never go away from procurement. However, there are other areas that procurement needs to help sell the value proposition - spend under management, spend on contracts, reducing risk, improving quality, spend concentration, increased contract compliance, driving supplier innovation and the return on investment from procurement. It is critical to showcase that procurement is a value provider and should have a seat at the table to influence the big company decisions - they are not just about lowering costs. Finally, we help clients see the importance of underpinning all of this with a balanced approach across people, process and technology, both in upstream value creation and downstream execution. Over/under investing in one of these three aspects creates an unbalanced environment. To sustainably improve the value procurement creates and ensure that this value is realized, improving processes and methodologies, enhancing the skills of the employees and enabling change through improved technology are all equally important. DT: I really like the six points that you went through. So many people miss the broader aspects of category management, the strategic pieces of sourcing and do not connect this value to the execution aspects in procurement. Absolutely on point. GS: Thanks. We see this common thread across industries and all types of organizations - global, national and regional. There are often pockets of areas where they are doing well, and sometimes it’s more visible in direct spend. But generally, on indirect spend these gaps often exist. What’s enjoyable is empowering these companies to significantly change how procurement impacts the business. Companies see the value Nitor brings with cross-industry best practices. DT: I think that's fantastic. So, what's next for Nitor? Where do you see you the company evolving? GS: To continue our growth and footprint in the source-to-pay space, we have a four-pronged strategy: 1) build on our core advisory, consulting and sustainment practices to live the lifecycle with a client of empowering procurement transformation in people, process and technology; 2) further expand our global markets into Canada and Latin America; 3) continue to develop our strong relationships with technology and partner companies; and 4) be at the forefront of shaping new aspects of value in procurement. DT: That's great. Sounds like an exciting time! Gary provides leadership on the business strategy and development of Nitor. He provides clients experience across the Source-to-Pay spectrum including: spend assessment, category management, strategic sourcing, contract negotiations, supplier management and procurement transformation projects. Gary has over 20 years of procurement experience across many industries. Prior to joining Nitor, Gary had a 10-year career at Rolls-Royce where he held management positions in global procurement, supply chain operations and customer business. Gary then managed a procurement consulting firm specializing in strategy, sourcing and cost savings. Gary has extensive international experience, including managing projects in Italy, Spain, France, Israel, South Africa, England and the Americas. He has delivered significant procurement transformation programs that have improved performance, increased supply chain resilience, and delivered over $800MM in sustainable savings. Gary holds a Bachelor of Arts (Honors) degree in Business Economics from Nottingham Trent University in England.